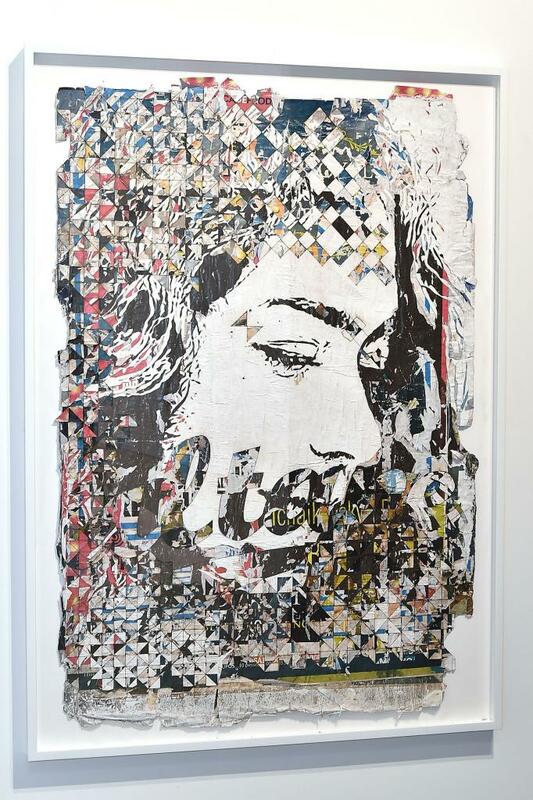 Experiencing the artist VHILS’s work up close is somewhat of a thrill. The Portuguese artist is best known for his large-scale portraits etched into buildings and brick walls across the globe, usually climbing to heights of four to five stories tall. You’ve likely seen his iconic collaboration with JR in DTLA, where two towering portraits gaze at each other from neighboring buildings. 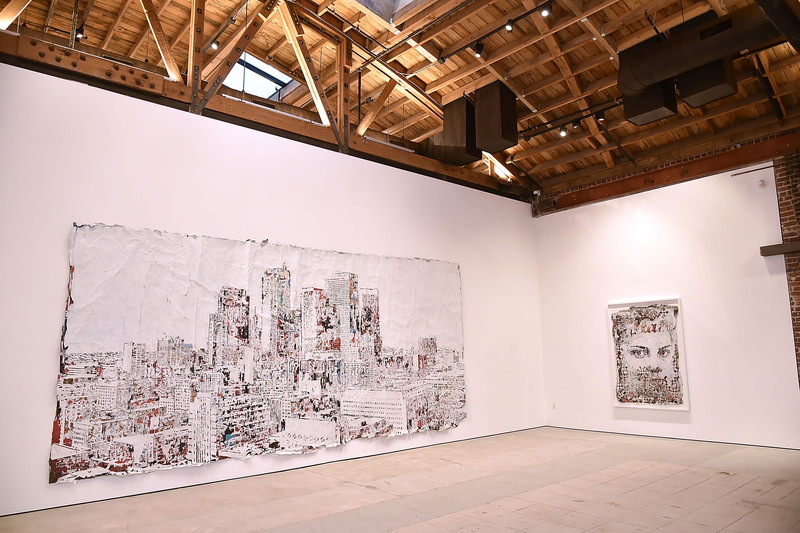 So when VHILS debuted his first-ever solo show in Los Angeles for the opening of Hong Kong-based gallery Over the Influence‘s new 7,000-square-foot Arts District space, his pieces felt particularly intimate and personal, excitingly within reach and more tangible than any of his other work. Titled Annihilation, the show is a reflection on the effects of globalization and the need to preserve local culture to foster and maintain cultural diversity in urban spaces. 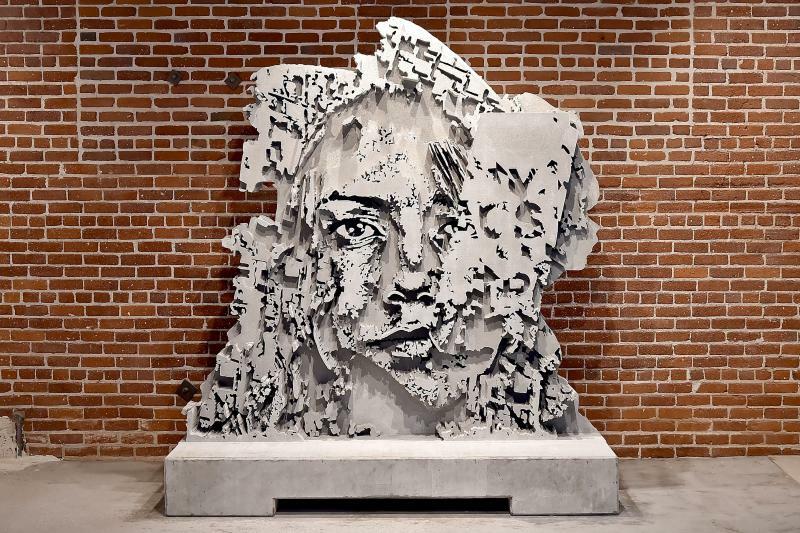 While VHILS’s work has always focused on urban development and how it shapes our personal and collective identites, he was inspired to explore this theme from a distinctly Los Angeles perspective. 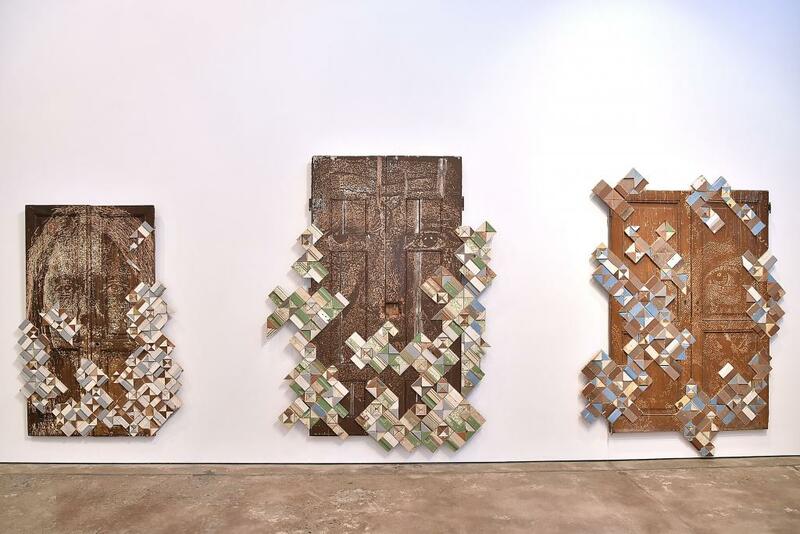 The exhibition was an opportunity for VHILS to explore new mediums and techniques, featuring a mix of carved wooden doors, acid-etched metal plates, styrofoam dioramas, hand-carved billboards, and concrete sculptures. The majority of the materials were sourced from Los Angeles, Lisbon, Hong Kong, Paris, Rio de Janeiro, and Beijing as a way to represent the similarities and differences between cities. The styrofoam dioramas in particular seemed to captivate the audience at the exhibition’s opening. 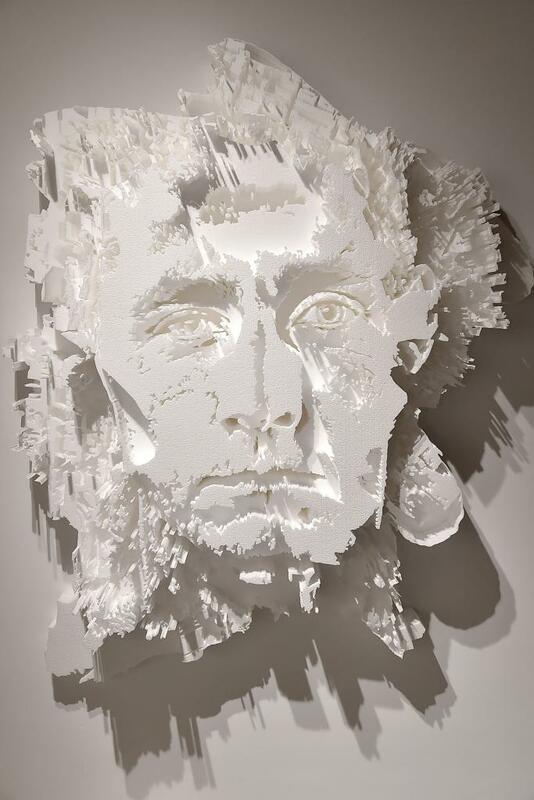 In VHILS’s classic style, a chiseled portrait stares back at you bewitchingly, a mix of stoicism and unnameable humanness. His use of styrofoam adds another layer of commentary, alluding to the sustainability (or lack thereof) of mass consumption and capitalism. Annihilation feels like a fitting L.A. debut for Over the Influence. As the art aims to grapple with the complexities and significance of globalization, it’s hard to miss the parallel of the exhibition literally taking place in a gallery that’s gone global. The message is clear: We have to continue to find ways to connect with each other globally without eroding our personal and unique contributions to society on a local level. Annihilation, Over the Influence, 833 E. 3rd St., downtown; through April 1.